She notes that all business leaders need to establish interpersonal warmth and likability balanced with authority, power, and credibility. • Occupy space: Stand tall with erect posture and head, and a wider stance hold your head high. Claim territory with belongings. 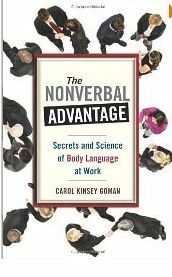 • Keep your hands on your lap or on the conference table where they can be seen to limit nervous hand gestures such as rubbing hands, grabbing arms, touching neck, tossing hair, leaning forward. o Keep gestures at waist height or above. Drop the pitch at the end of each sentence to make an authoritative statement. Avoid raising tone at the end of a sentence when not asking a question, as this may be interpreted as uncertain or submissive. • Cultivate a firm handshake, with palm-to-palm contact and that the web of your hand (the skin between your thumb and first finger) touching the web of the other person’s. Face the person squarely, look in the eyes, smile, and greet the person. 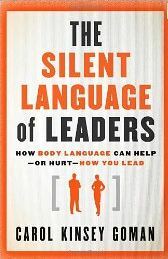 Goman stated that women generally excel at accurately read the body language of others, and this can be an advantage in intuitively grasping underlying issues in a meeting or during a negotiation. 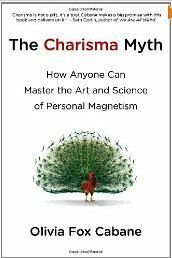 -*How do you cultivate both credibility and likeability in work relationships? This entry was posted in Behavior Change, Business Communication, Career Development, Working Women and tagged Authority, Behavior Change, Business Communication, Career Development, Carol Kinsey Goman, Nonverbal communication, Olivia Fox Cabane, power, Working Women on July 25, 2012 by kathrynwelds.